Raised in St. Petersburg and a graduate of the University of South Florida, Mark has been working for public interest and progressive causes across the state for over two decades. 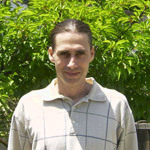 Starting as a grassroots organizer in Miami, Mark worked his way up through the ranks of Florida PIRG (Public Interest Research Group) to become the director in 1998, and was the first director of Environment Florida when it launched in 2006. Since founding Progress Florida in 2008, Mark has focused on building Progress Florida into one of the most respected and effective multi-issue progressive communications and digital strategies organizations in the state. Mark is a board member of Environment Florida and Common Cause Florida and in 2017 he was named as one of the “Top 100 Influential Floridians” by INFLUENCE Magazine. 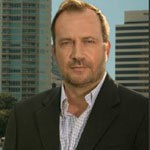 When not fighting the good fight Mark enjoys soccer, fishing, and exploring Florida’s best downtowns – big and small. Damien is an award-winning political strategist, ballot initiative expert and campaign veteran with more than a decade of experience crafting message and strategy for successful statewide campaigns in Florida and across the nation. Damien is a sought-after media trainer and speaker having trained students, community activists, campaign workers and candidates from around the country. 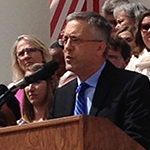 He appears frequently in leading newspapers and on television and radio advocating for progressive policy solutions and government accountability. Damien is also the founder of Big Bend Biofuels. Damien was born in Tallahassee where he still lives and can frequently be found bird watching in the Fred George Basin. Amy Weintraub is a seasoned, award-winning organizer, who has worked most of her adult life identifying, educating, and activating citizens toward social justice. She is heavily involved with the League of Women Voters St. Petersburg and the statewide Floridians for Reproductive Freedom coalition and was a key leader of Women's March St. Pete 2017, which saw more than 20,000 people gather to advance women's issues -- the largest public protest in St. Pete history. 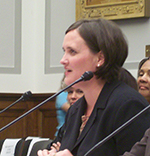 Prior to moving to Florida in 2015, Amy lived in her home state of West Virginia where she led efforts within organizations such as WV FREE (West Virginia Focus: Reproductive Education and Equality), Covenant House of WV, and Planned Parenthood. Amy lives in south St. Petersburg with two teens, two felines, and one spouse. Ray is a leader among the Florida netroots community, one of the founders of the Florida Progressive Coalition, and an established progressive blogger. He is active in Marion County politics where he served as campaign manager for Iraq War veteran James Walker's bid for the State House District 24. Ray is a graduate of the University of Florida with a BA in Political Science and received a certificate in public leadership from the Bob Graham Center for Public Service. When Ray's not staring at a computer screen, he enjoys reading, studying the latest progressive policy ideas (he's a self-described "nerd",) the outdoors, and volunteering. Jon has been active in social and political causes throughout his life. 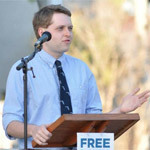 He first got involved with progressive politics while attending Tulane University and later honed his grassroots organizing skills by directing the California Public Interest Research Group (CalPIRG) San Diego campaign office. Since then Jon has served as a campaign strategist and earned media consultant for a broad range of successful progressive issue campaigns in Florida and around the country. A native Floridian, Jon is co-founder and Internet organizer for Wildwood Preservation Society. When not online, Jon is an avid collector of banjos and vintage art.